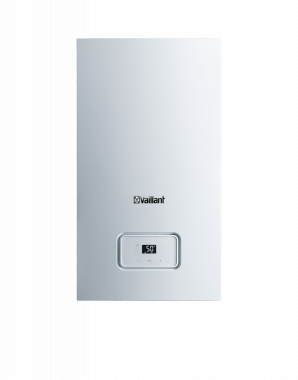 The Home 30kW Regular Gas Boiler has been designed and manufactured by Vaillant and comes with a variety of benefits. Featuring an ErP efficiency rating of 93%, this is a highly efficient boiler that will help to save money on your energy bills. With an output rating of 30kW, this boiler is perfectly suitable for larger homes with multiple bathrooms that have a higher demand for heating and hot water. Also available in a range of other outputs, from 12-30kW, you can be sure that there’s a boiler to suit you and your home’s heating demands. As a Regular boiler it will heat your central heating system directly and also produce hot water for your cylinder. Due to the fact that you need a hot water cylinder, which is often fed by a cold water storage cistern located in the attic, this type of boiler isn’t always suitable for smaller properties where space is limited. If space is tight around your home then this compact boiler could be the ideal choice. With dimensions of 600mm x 375mm x 280mm (HxWxD) it can easily fit in a cupboard. This condensing unit can also be wall mounted, saving valuable wall space. Thanks to the compact size and low weight, it’s easy to install which helps to save you money on the installation. Vaillant have ensured that this boiler offers many benefits such as having a SAP efficiency of up to 4% more than any other typical boiler, a modulation of up to 1:5 for increased efficiency, a fully modulating low Nox burner, a two-way condensate trap for simplicity of commissioning, a fully modulating high efficiency grundfos pump and is fully compatible with all current vaillant controls. Available with a 2 year warranty as standard, you will be getting the peace of mind that this is a reliable boiler.